A downstream view of Big Devil's Fork Creek, a tributary of Richland Creek. 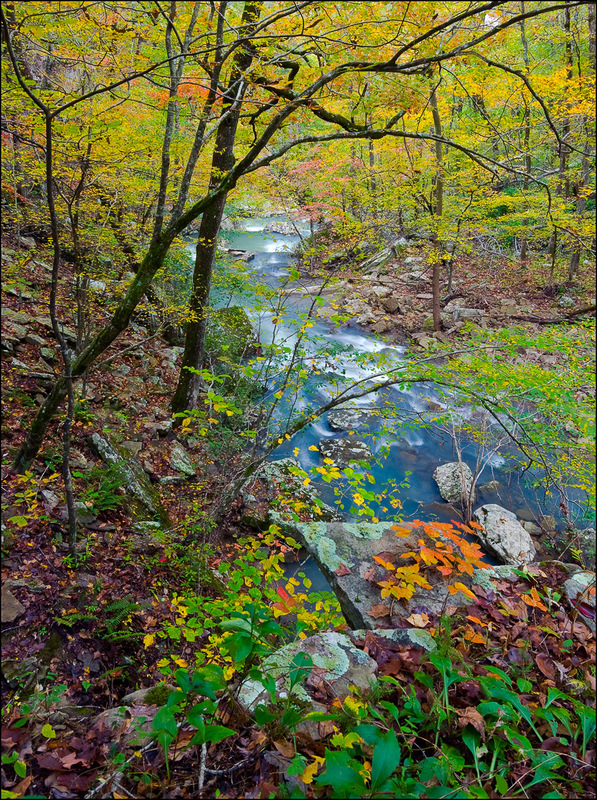 Occasional rainstorms during the peak of fall color make for a beautiful hike in the woods. Photo © copyright by William Dark.